Huntington Public Library is one of the oldest public libraries in Suffolk County with roots dating back to 1759. Thirty-nine people joined together to form the first circulating library in Huntington with Rev. Ebenezer Prime as the first "library-keeper". The library consisted of 115 volumes which were housed in a "box of shelves". A book could be borrowed for two months but a fine of "one copper per diem" per book was charged. The library was destroyed during the British occupation of Huntington during the Revolutionary War and it emerged again in 1801 as a circulating library. It was known as the Huntington Lyceum between 1827 and 1843. Again it was reorganized as the Huntington Library Association until 1858. In 1869, the Huntington Lyceum emerged once more; featuring debates and lectures, and developed into the Young Men's Literary Association and continued until 1871. 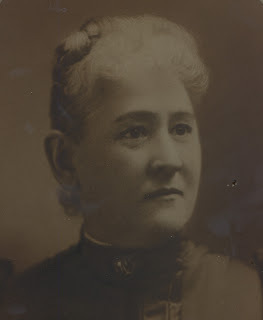 Mary Talmage was considered to be the "mother of the library" because of her dedication to library services. The first Board meeting was held at her home in 1875. It was in 1875 that the Huntington Library Association was formed and it became incorporated in 1883. Through fundraising efforts, the construction of the Soldiers and Sailors Memorial Building was completed in 1892 and became the site for the new library.